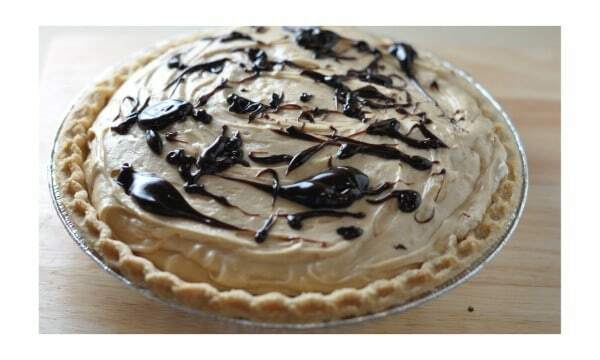 Peanut Butter Pie is so popular, and guess what it is easy to make. Amaze your friends and family with this popular dessert. Afternoon Delight in Ann Arbor, Michigan is known for their Peanut Butter Pie. Toll House Pie – who can resist this one? It's hard to beat a delicious peanut butter pie. Using a electric mixer combine cream cheese, sugar, cream, vanilla, and peanut butter. Chill a small bowl and beaters in the freezer. Whip the cream until very stiff in the chilled bowl. Add one-third of the whipped cream to the peanut butter mixture and fold into remaining whipped cream. Spoon into the chocolate pie crust or graham cracker crust. Keep the pie refrigerated until you are ready to serve, and store the pie in the refrigerator. I used a Chocolate pie crust, it was so easy to make and tasted like it took hours to make.